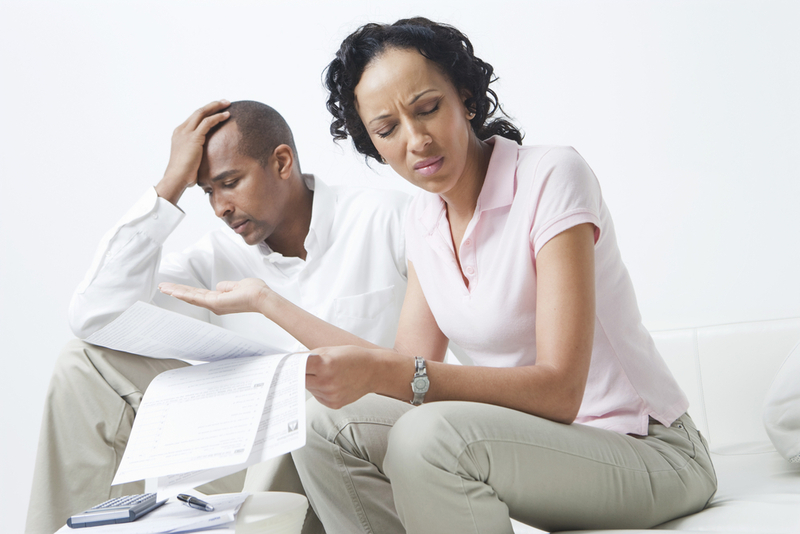 InsuranceFundi | Do you have a back-breaking "black tax" burden? It’s fair to say SARS collect a fair amount of our money each month but if you’re a black South African earning an income, you might also be paying “black tax” (sharing your salary with family). Whether the notion of “black tax” is right or wrong is debatable, isn’t it? On the one side of the coin, you have people in your life who might not have had the same job opportunities that you’ve been afforded and in most instances need your financial support. On the other side of the coin, coughing up more money than you can afford isn’t a wise idea either. Just because you have a job doesn’t mean you should be sinking yourself into personal debt or depriving yourself of the opportunity to start saving for your own future (otherwise the cycle is likely to repeat itself). If “black tax” is nothing more than a level of expectation (you are earning more than I am, so I want some of yours), shouldn’t we be trying to shift that expectation? Let’s get real for a second. At the end of the month you have X amount of money left over after SARS slices out a hefty piece for themselves. Your “take-home” then gets plundered by a debit order pirate ship that rolls around like clockwork on the first of every month looking for fat bank balances to plunder. After your debit orders have run, it’s school fees, groceries, and premium unleaded to fire up that low-slung German vehicle. If you’re lucky, you’ve got a few bucks left over for a few cold beers and SuperDiski with the boys on the weekend. How do you fit “black tax” into your personal budget? It’s easy, you either have the spare money every month or you don’t? When you break it down, it’s as simple as that. If you do have the money, then perhaps it doesn’t feel like tax, right? It probably then feels like you are in the fortunate position to help your family out and that’s a great position to be in. If it feels like “tax” and a burden, it’s because you don’t have the spare money available every month, and you have a real problem on your hands. The problem is that at some point (you might be past that point) you are going to start taking out personal loans and burning up credit cards to create extra money to pay your “black tax”. Level with your family. Start by telling them how much you can really afford each month. If you can comfortably part with R1,000 a month, then that’s all you’ve got. You don’t owe them an explanation, you owe them an honest summary of your personal financial situation. How often does one sibling get stuck with the “Finance Minister” role in the family? If you are that sibling, then you know what it’s like, don’t you? Your other brothers and sisters have disappeared quicker than a “COPE” election campaign, when the question of money comes up for discussion. If one sibling is making the money in the family, very often the ones who aren’t doing too well end up hiding in the shadows of the “Rainmaker”. If your family needs financial support and all the siblings are collecting regular pay-cheques, work out who can contribute to the situation, but make sure everyone who can contribute financially, ends up contributing something. It’s the ‘something’ that’s important! Failing to share the financial burden between all the “economically active” family members means that at some stage resentment is likely to set in. Provide enough support, but not too much! If your family is on the breadline and your “black tax” is putting food on the table, you can sleep easy. If your monthly financial contribution is putting a family member through school or paying for Varsity fees, then that’s also money well spent, isn’t it? However, if your “black tax” is helping with fancy car repayments or outstanding debts you didn’t rack up, is it fair to be putting yourself under financial pressure? Do I know how the money I’m handing over is being spent? If you know the answer to that question then you are safe in the knowledge that your hard-earned money is being spent wisely. If you don’t know the answer to that question, you run the risk of having your family take advantage of the situation and even worse, trying to extort more and more money from you. Can you help with a job? Can you help a family member find a job rather than writing cheques every month? You know how that proverb goes, “Give a poor man a fish and you feed him for a day, teach him how to fish and you feed him for life”. Now we aren’t suggesting that you should get your 82-year-old grandfather who suffers from chronic arthritis out of bed at 6 am to work a shift. However, your 21-year-old nephew who is able but not so willing to find a job should be a great candidate for an internship at your office. You get the idea, right? When regular cheques are being received, complacency can set in and when you are too comfortable, change is unlikely. If your family members are able to work, why aren’t they making an effort to find work? If you find yourself in the situation where you are having to contribute financially to your family’s well-being, rest assured that you are not alone. The truth is millions of South Africans lean on each other every day. Make sure you are working towards securing a financially secure future for yourself first. Then do whatever you can to give someone a leg up. Anything else would be committing financial suicide.